By 2008, the Wallace & Gromit series of films had come a long way from their humble beginnings as part of Nick Park’s graduation project in A Grand Day Out. 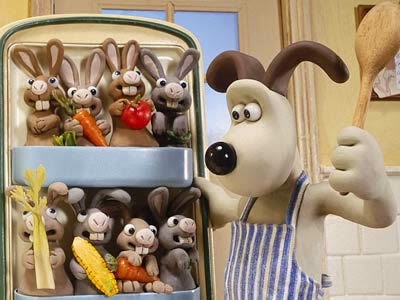 The titular duo starred in two subsequent short films in the 1990s (with both of them winning Oscars), and in 2005, Wallace and Gromit starred in their first (and so far only) feature-length film, The Curse of the Were-Rabbit (which added more Oscar gold to Wallace and Gromit’s belts). It seemed only fitting that an additional short film in the series would be made. Enter A Matter of Loaf and Death, currently the most recent entry in the series, the bad news is that it’s also probably the duo’s weakest outing. On the plus side, given Wallace and Gromit’s track record, being their weakest adventure is still far from a terrible thing. 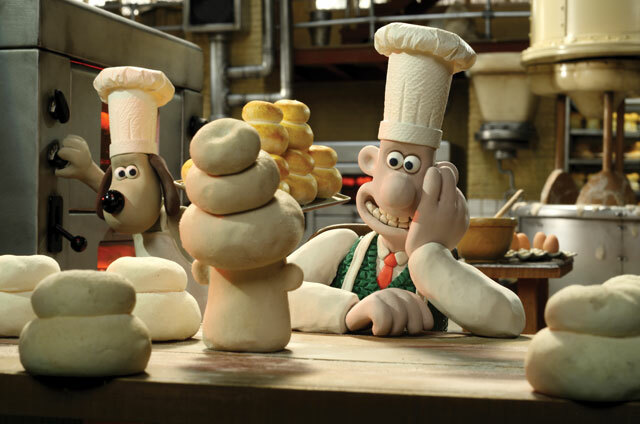 In A Matter of Loaf and Death, cheese-loving inventor Wallace and his faithful and silent dog Gromit have become bakers. Business is booming for their baking business, partly because Wallace’s machines make delivering baked goods a snap, and partly because a serial killer has murdered all the other bakers in town. One day, Wallace ends up saving the life of a woman named Piella Bakewell, a former spokesmodel for a baking company. Wallace is instantly smitten with Piella, but Gromit has his suspicions, and Piella’s dog Fluffles tries to warn the duo of Piella’s true intentions. If there’s any real problem with A Matter of Loaf and Death, it’s that the story seems to be a modified version of A Close Shave’s plot. Wallace falls in love with a woman, who also owns a dog, with one of them being the villain and the other a victim. At least A Matter of Loaf and Death switches up the who’s who of those roles, but the plot can feel like a bit of a rehash. Granted, the stories of Wallace and Gromit were never the major selling point, and were hardly groundbreaking, but simply reusing the same basic template of a previous episode seems beneath the series. I’m also not quite sure how I feel about Wallace and Gromit entering darker territory with the story being built around a serial killer. It’s true that A Close Shave and Curse of the Were-Rabbit parodied horror films, but they actively avoided going into darker areas (the main victims in Were-Rabbit were farmers grieving over missing prized vegetables), so it just feels a bit out of character for the series to go into an all-out murder plot. With all that said, however, A Matter of Loaf and Death is still a winner in entertainment. The visuals remain breathtakingly detailed, and continues the series’ trademark “how did they make that?” moments at just about every turn. The slapstick, gags, movie spoofs, and action scenes are all fun, and Wallace and Gromit themselves remain some of the most likable characters around. The rehashed and strangely dark scenario may prevent A Matter of Loaf and Death from reaching the same heights as its predecessors, but it’s still a lovingly crafted, entertaining work from Nick Park. Let’s just hope it doesn’t remain Wallace and Gromit’s last outing. A new film starring the duo is always more than welcome. 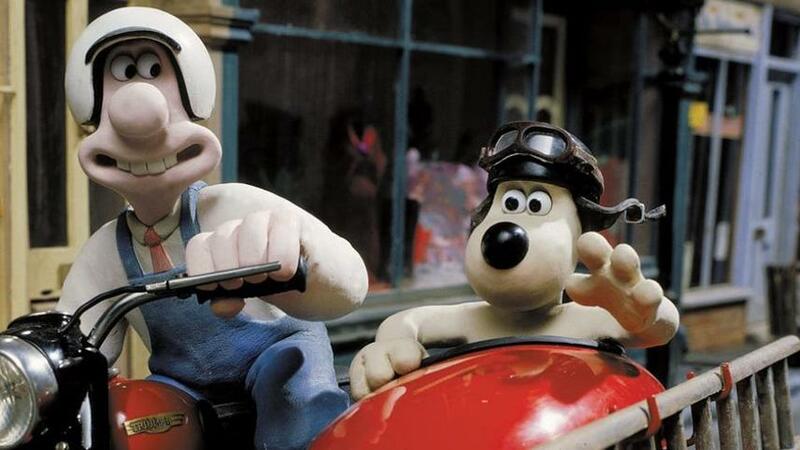 By 1995, Wallace & Gromit had etched their place in the history of animation and in British popular culture. After the acclaimed “The Wrong Trousers,” the popularity of Wallace and Gromit reached new heights. The third adventure of the cheese-loving inventor and his mime-like dog would be A Close Shave, and it ended up receiving similar acclaim to its predecessor. In A Close Shave, Wallace and Gromit are now running a window cleaning service. During one night, a sheep escapes from the back of a truck, where other rustled sheep are being held captive. 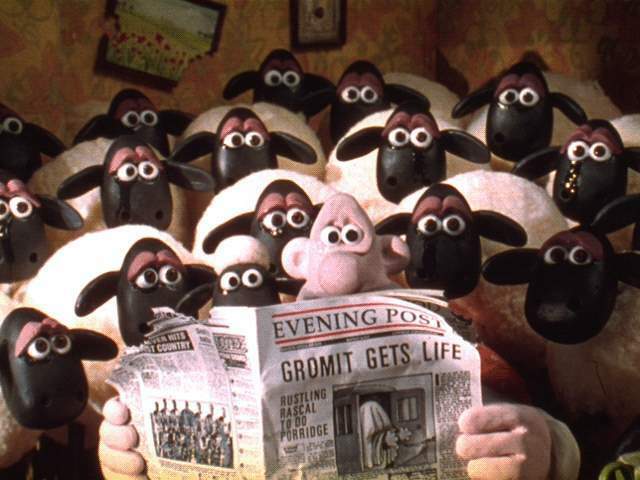 The stray sheep sneaks into the house of Wallace and Gromit, while the truck’s driver, a sinister dog named Preston, takes note of their window cleaning advertisement. The next day, Wallace and Gromit are asked to clean the windows of a wool shop owned by a woman named Wendolene. Wallace is instantly smitten with Wendolene, but unbeknownst to him, Wendolene is the owner of the dog Preston, and is the unwilling accomplice of his sheep rustling schemes. Preston is determined to find the missing sheep (whom Wallace later names “Shaun”), and eventually frames Gromit for his crimes. A Close Shave boasted the most detailed plot for the series up to that point. 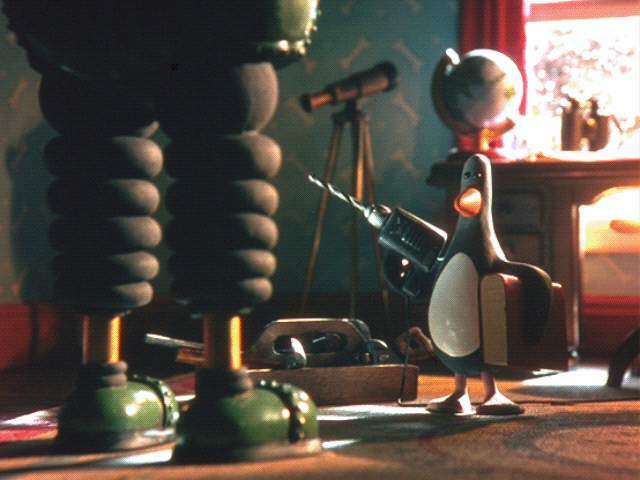 The two prior shorts only included one additional character to Wallace and Gromit themselves (the cooker robot in A Grand Day Out, and Feathers McGraw in The Wrong Trousers), both of which were silent. Wendolene is the first character aside from Wallace to speak in the series, and she is joined by Shaun, Preston, and an army of sheep as part of A Close Shave’s more extensive cast. The story proves to be a lot of fun, with the additional characters helping to differentiate it from its predecessors, as well as giving the animators even more to work with. As is the norm for the series, A Close Shave is impeccably animated. The thirty minute short pays homage to action and horror films, and rivals The Wrong Trousers in its absurd attention to detail. 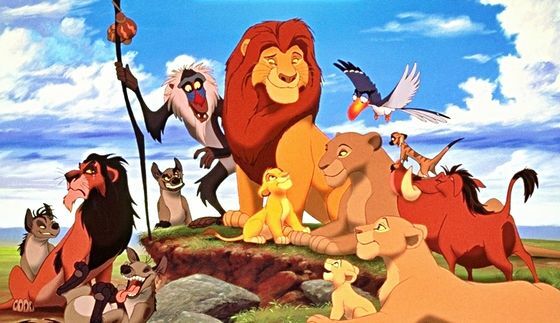 Every moment of the film displays the hardwork and craftsmanship that went into every frame, with the action scenes in particular having you scratch your head in wonder how they could ever be made through the process of stop-motion. Much like its predecessor, the climactic action scenes are truly something to behold. A Close Shave goes toe-to-toe with The Wrong Trousers, and manages to recreate many of the elements that made the duo’s previous two shorts such delights. 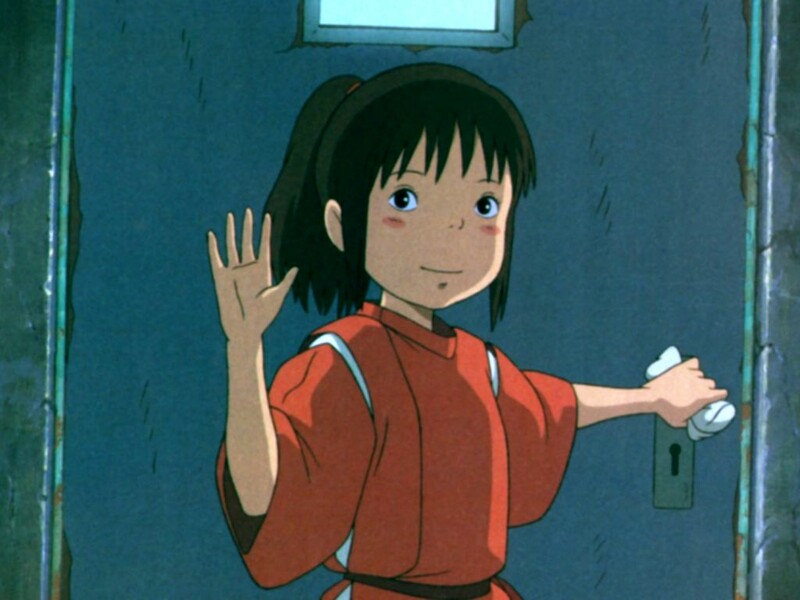 The plot is still simple and cartoonish, but the delightful animation turns it into something more. 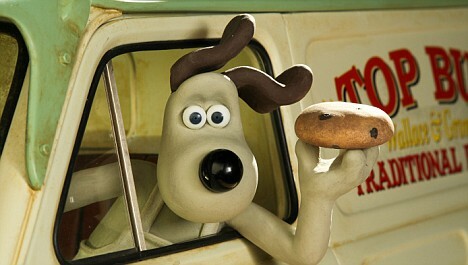 It seems whenever the names Wallace & Gromit show up, you can expect Aardman to bring their very best. Of all the Wallace & Gromit films, the duo’s second adventure, 1993’s The Wrong Trousers, is probably their most beloved outing. In many ways, it set the standard for the rest of the Wallace & Gromit films that followed, and helped define creator Nick Park’s unique animated storytelling. The Wrong Trousers takes the simplistic duo of Wallace and Gromit, and places them in arguably their most intricately animated adventure ever. 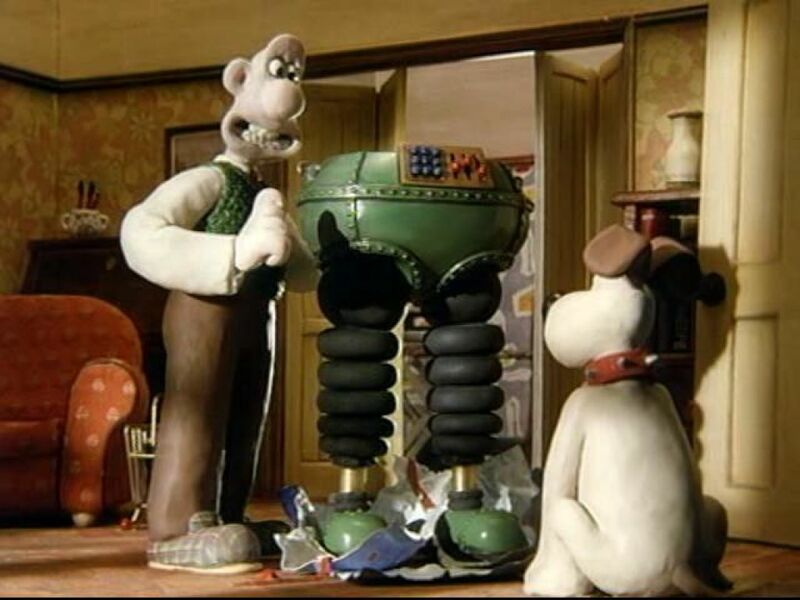 Gromit’s birthday has arrived, and Wallace’s present to his dog is a pair of “Techno Trousers,” a highly expensive pair of walking pants to take Gromit on his walks. But the price of the trousers, along with various bills, leaves Wallace in need of money, so he decides to let their spare bedroom out. A strange, silent penguin named Feathers McGraw ends up staying in the room. Unbeknownst to Wallace, Feathers is actually a wanted criminal, who later plans on using the Techno Trousers (and an oblivious Wallace) as a means to steal a valuable diamond, while also plotting to have Gromit run away from home, as Gromit grows suspicious of the penguin. If the plot sounds silly, it’s because it is. The Wrong Trousers cleverly combines the series’ charming characters with a spoof of Hitchcock-style suspense movies. It’s the animation itself that makes The Wrong Trousers a wonder to behold. Every moment of The Wrong Trousers will have you wondering how it was made. The opening scene alone gives audiences a glimpse of Wallace’s eccentric lifestyle, as he is awakened by a contraption that pulls him from his bed, dresses him, and eventually lands him in his favorite chair just as his morning toast pops from the toaster and is blasted with projectile jelly. To see it all in motion is close to miraculous. Then there’s the aforementioned heist, which has Feathers manipulating the Techno Trousers to send a sleeping Wallace up and down the walls and ceilings of a museum. And the finale, which sees a parody of the many train-based chase sequences in film history on the top of a model train, is astonishing. The character models have been improved from A Grand Day Out, now that Nick Park had funding from Aardman from the get-go, and the higher production values really show. Wallace now has is more defined character design that’s still used today, and the short allows for some great uses of facial expressions and emotions on the characters. Being only a half hour long, the delights of The Wrong Trousers only last for so long, but you’ll likely enjoy every minute of it. It’s true that there’s not a whole lot story-wise that feels outside of animation norms, but in terms of the animation itself, The Wrong Trousers is an absolutely stunning work. The Wallace & Gromit series of films (consisting of four shorts and a feature-length motion picture) have become a staple in stop-motion animation, and in British popular culture. At its core, the Wallace & Gromit series is about the contrast between the simplistic and the complex, which always seem to come together in the series. Perhaps none of the Wallace & Gromit films showcase this better than their debut short, 1989’s A Grand Day Out. A Grand Day Out sees eccentric inventor Wallace and his silent dog Gromit on a bank holiday, and they’re deciding where to go for a picnic. 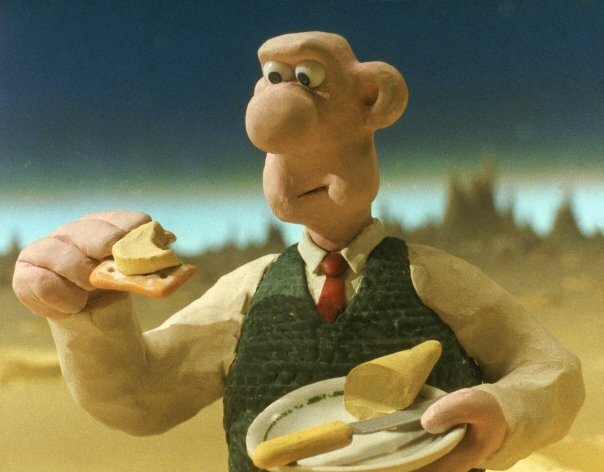 When Wallace decides to take a break from searching for a vacation spot and have some tea time – complete with some cheese and crackers – he notices that there’s not a block of cheese left in the house. 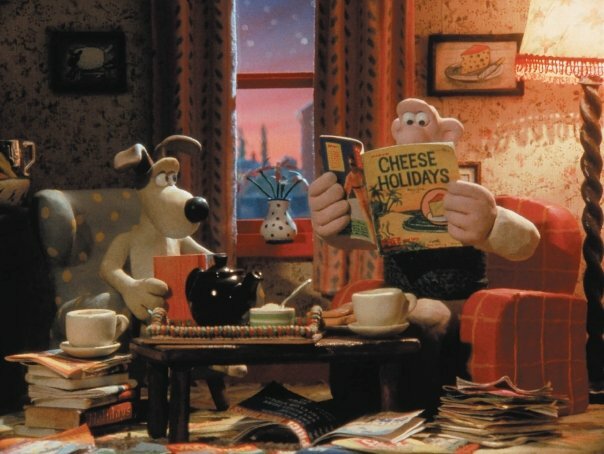 With all the stores closed for the holiday, Wallace comes up with the idea to spend their holiday “somewhere where’s there’s cheese.” After briefly thinking of a location, Wallace and Gromit decide to go to the be-all, end-all of cheese locations, the moon. And so Wallace & Gromit begin construction on a rocket ship so that they can take a trip to the moon and sample some cheese. The story is both simple and whimsically perplexing. When all is said and done, the half hour short really is about little more than Wallace and Gromit wanting to try some cheese, yet the simple plot is turned into something more fanciful by becoming a trip to the moon. It really only goes into that direction because it can. Being an animated family film, why not go to the moon when craving some cheese? Similarly, the character models for both Wallace and Gromit look a bit rushed, as though creator Nick Park hadn’t yet finalized what he wanted them to look like. Wallace in particular looks less fleshed-out design-wise than he would in the subsequent films, and the character models as a whole look clumpier than they would in future episodes, complete with visible finger prints on their plasticine models. 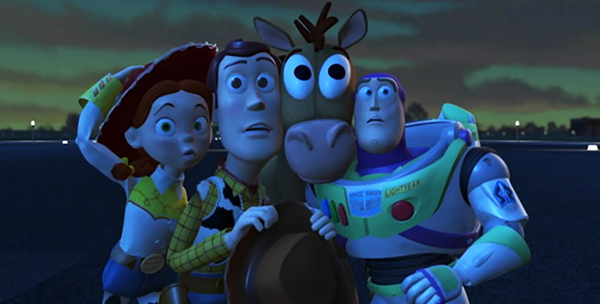 While the characters look a bit crude compared to later entries, the way in which they move shows a level of dedication and complexity that is rarely approached in animation, even (if not especially) by stop-motion standards. Take, for example, the scenes where Wallace and Gromit build their rocket ship. Wallace draws up the blueprints, with the camera focusing on the character’s process of drawing. As his hand and pencil glide across the paper, an image begins to appear as though Wallace is actually the one doing the drawing. Another scene has Wallace and Gromit working in unison with a saw and hammer, respectively. As Wallace moves the saw in and out, Gromit hammers in some nails whenever the saw retracts. 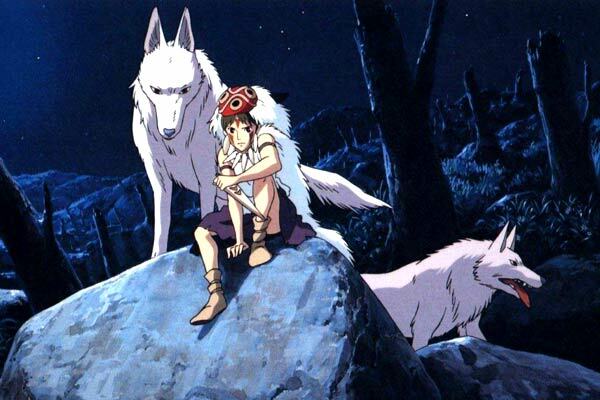 It’s mind-boggling to even think about where the animation even began with such scenes. This becomes all the more impressive when you gain the knowledge that Nick Park create a good deal of A Grand Day Out by himself. The film started production in 1982 as a graduation project, with Aardman studios hiring Park some three years later, leaving him to finish the short part-time, with Aardman eventually helping finish the short and releasing it (which ultimately lead to its titular characters becoming the faces of the animation studio). By the time it was released in 1989, actor Peter Sallis (who voiced Wallace for a mere fifty Pounds) was shocked that Park actually managed to finish the film. A Grand Day Out is admittedly much slower paced than the subsequent Wallace & Gromit shorts, and given that it’s also shorter than them, it ultimately means that not a whole lot happens during its running time, despite the extravagant concept of a moon-based vacation. Some may find that it doesn’t hold up as well as its successors due to its slower nature. 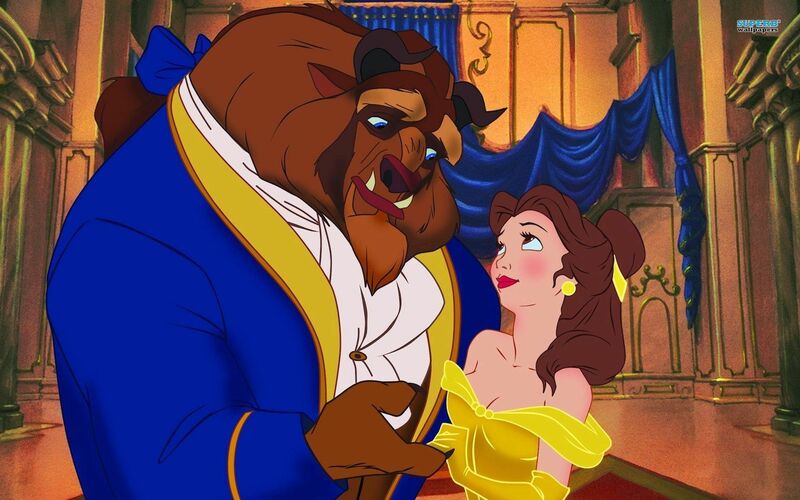 But the attention to the fine details of the film are obvious from the get-go. And for those who are thrilled by the technical craft of animation, A Grand Day Out remains a wonder.